The median list price in NAPLES, FL 34103 this week is $648,950. market is not giving strong up or down signals from these data. Market Action before prices plateau or begin to rise again. indicator for a trough in prices. Is a Naples Lifestyle for you? Naples, FL is a tropical paradise rich in economic vitality and luxury living. This coastal community with its almost constant breeze off the Gulf of Mexico is the best place to enjoy an active, healthy outdoor lifestyle year round. The pristine beaches, charming outdoor cafes and local markets are perfect for romantic escapes. Naples is home to not one, but two Ritz Carlton’s which set the standard for the amenities and services that are found in Naples. From upscale shopping, galleries and performing arts venues to seemingly endless dining choices “The Jewel of the Gulf” provides a standard of living not found anywhere else in Florida. It’s the perfect place to live, work or visit! 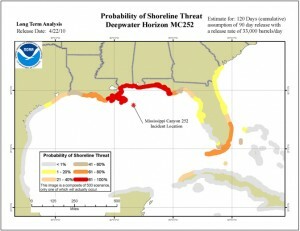 NOAA has used modeling of historical wind and ocean currents to project the likelihood that surface oil from the Deepwater Horizon/BP oil spill will impact additional U.S. coastline. This modeling, part of NOAA’s comprehensive response to the unprecedented Gulf oil disaster, can help guide the ongoing preparedness, response and cleanup efforts…..
On July 2, President Obama signed into law H.R. 5569, an extension of National Flood Insurance Program (NFIP) authority until September 30. The bill is retroactive and will cover the lapse period from June 1 to the date of enactment. NAR will continue to work with Congress on the 5-year NFIP Reform bill and will continue to provide regular updates on our efforts. It wasn’t pretty, and the debate went well into the evening, but on June 30 the Senate passed a stand- alone bill that extended the date for closing on a tax credit-eligible home from June 30 to September 30, 2010. The bill passed the Senate on a voice vote in a process known as “unanimous consent.” A stand-alone bill is a single issue bill that contains just one provision (and, if needed, its “pay-fors.”) Stand-alone tax bills are a rarity in the Senate, but the urgency was well understood. Earlier in the week, the House had passed a stand-alone extension (HR 5623) by a vote of 409 – 5. 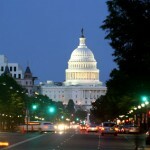 The White House has said that President Obama will sign the bill, although the timing for the signing is not yet known. The extension is seamless, so closings that occur between July 1 and the date the President signs the legislation will satisfy the requirements of the credit. In order to get the benefit of this closing date extension, the parties must have entered into a contract for the purchase on or before April 30, 2010. NAR worked closely with congressional leaders on both sides of the aisle in supporting lawmakers’ passage of the legislation, which the association says will help provide additional stability to real estate markets across the nation. 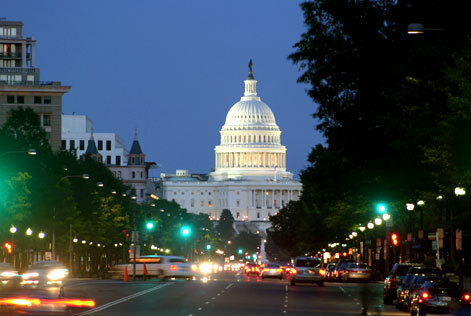 Separately, the U.S. Senate also last night passed the National Flood Insurance Program Extension Act of 2010 (H.R. 5569), which extends the National Flood Insurance Program until September 30. This will allow home purchases in the 100-year floodplain to move forward. The House passed the bill last week. When signed into law by the President, the bill, which will apply retroactively, will cover the lapse period from June 1 to the date of enactment of the extension. Without flood insurance, households buying homes in the 100-year floodplain cannot obtain mortgage financing. Surprise: America’s wealthy like warm weather and low taxes. That’s the takeaway from IRS data, analyzed by Forbes, on moves between counties. We looked for counties that the rich are moving to in big numbers. Topping the list: Collier County, Fla., which includes the city of Naples. Tax returns accounting for 15,150 people showed moves to Collier County from other parts of the country in 2008, the latest year for which IRS data is available. Their average reported income: $76,161 per person–equivalent to $304,644 for a family of four. Although slightly more taxpayers moved out of Collier County than into it, the departing residents’ average income came out to just $26,128 per person. In second place is Greene County, Ga., with a population of just 15,743 at the Census Bureau’s last estimate. The IRS data show that in 2008, 788 people moved to the county, about 75 miles east of Atlanta. Rounding out the top five: Nassau County, Fla., near Jacksonville; Llano County, Texas, 70 miles northwest of Austin; and Walton County, Fla., 80 miles east of Pensacola. Pitkin County, Colo., home to the pricey Aspen ski community, where home listings average more than $3.5 million, saw an exodus of rich people in 2008 as the economy began to contract. The 962 tax filers and dependents who left Pitkin had an average income of $71,473 per capita, while the equivalent figure for those moving to the county was $30,000 lower. Of those leaving Pitkin County, 224 moved to neighboring Garfield County where, according to real estate information service Trulia, homes list for 75% less than those in Pitkin County. IRS data also show movement from the resort area to cities like New York, Chicago and San Francisco. 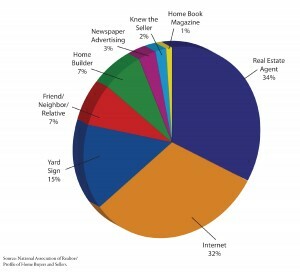 To find places the rich are moving, Forbes used IRS data on household moves broken down by county and income. We included counties where arriving households are richer than households that didn’t move and departing households are poorer than households that didn’t move. The final ranking orders counties by the difference in per-capita income between incoming households and those that didn’t move. Our ranking of places the rich are fleeing essentially reverses these criteria, looking for counties where departing households are wealthier than the population as a whole and where incoming households are poorer. In order to find patterns among the wealthy, we restricted the lists to counties where departing or arriving households had per-capita incomes of $35,000 or more. That figure is equivalent to an annual income of $140,000 for a family of four–a very high income for any large subset of the American population (of 3,142 counties with IRS data, only 130 have average incomes above this level). And in order to avoid statistical anomalies, we only included counties with at least 500 people listed as arriving or departing. This technique essentially finds new hot spots–places that aren’t necessarily wealthy now but where wealthy people are moving. Some upscale places like Westchester County, N.Y., and Teton County, Wy., don’t make the list because people moving into those counties aren’t as rich as the people who already live there. The IRS warns that these counts are only approximations; because they don’t include households that don’t file income tax returns, poor and elderly people are underrepresented. These counts also don’t include returns filed after late-September 2009–a small fraction of total returns that tends to include some very rich people with complex returns who file for extensions.